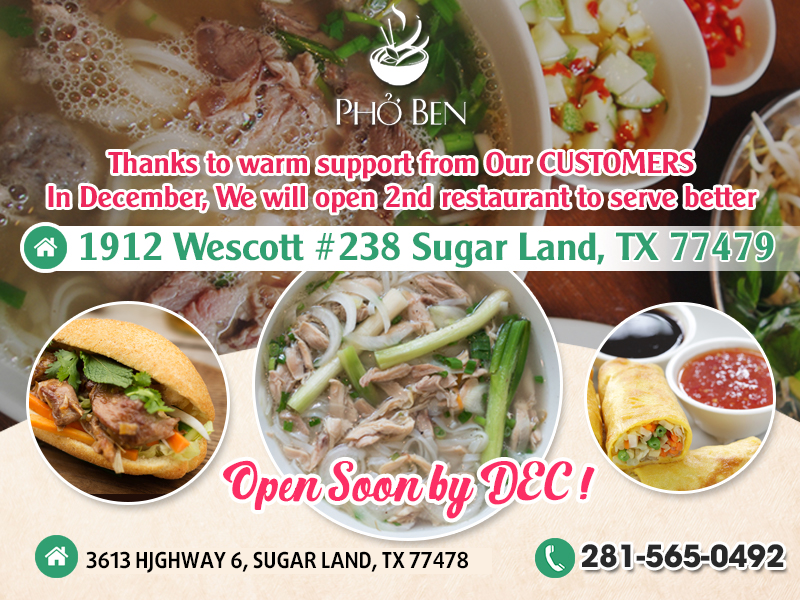 Located conveniently in Sugar Land, TX 77479, Pho Ben has been proud of serving our valued customer a wide range of delicious food. 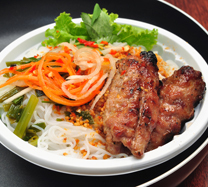 At our restaurant, we specialize in serving the Vietnamese special dishes from eggs, pork, beef, chicken, and seafood. 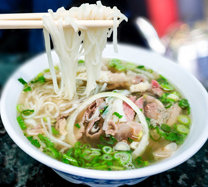 All noodle soups Are served with a paste of fresh sprouts, limes, basil, cilantro, And thinly sliced fresh jalapenos. All soups with your choice of the following meats. This place is so good! It is always busy but service is fast and food is served promptly. It tastes yummy and prices are very reasonable! The have recently re-decorating and have more seating. We LOVE it!!! Superb service. 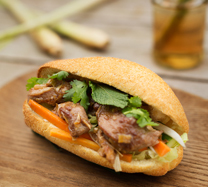 Fabulous ambiance and yummy Vietnamese noodle soup with varieties of meats and veggies, as well as sandwiches. You can expect to have to wait for a table.